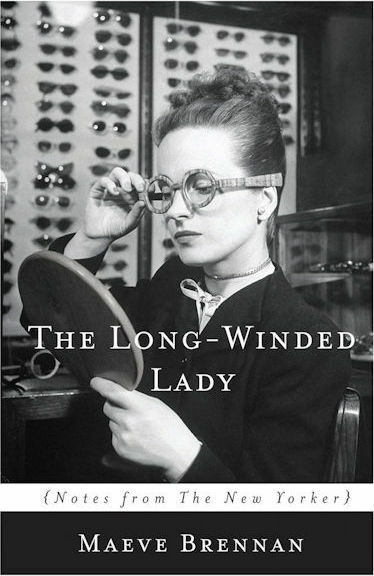 Our June Book a Month selection, The Long-Winded Lady, is a collection of sketches written primarily for The New Yorker’s “Talk of the Town” column by Irish immigrant Maeve Brennan. Under the pen name “The Long-Winded Lady,” Brennan deftly captures scenes and vignettes of everyday occurrences in New York City, startling in their clarity, and mundane moments that nonetheless encapsulated the essence of New York City life. Brennan wrote for the column from 1954 until 1981. Maeve Brennan was born in Dublin on January 6, 1917. Her parents, Una and Robert Brennan, were both political activists in Ireland in the early twentieth century, rebelling against British rule and even taking part in the Easter Rising of 1916. Maeve’s childhood was a tumultuous one, her father often in prison or on the run, her home invaded at least once by “unfriendly men…carrying revolvers”—Irish Free Staters—searching for him. Once Irish Independence was won, Robert Brennan was appointed as the Irish minister to the United States in 1934, and Maeve came to Washington, D.C. with her family when she was seventeen. In 1941, she moved to New York City and secured a job as a fashion copywriter at Harper’s Bazaar. 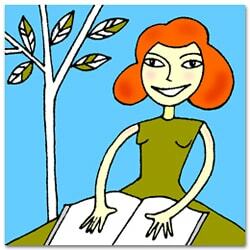 When her family moved back to Ireland, she stayed in New York and eventually got a job at The New Yorker in 1949. Described as having a “quickness of wit, a sharp tongue, and the gift of style,” Brennan began writing for the “Talk of the Town” column under the pseudonym “The Long-Winded Lady” in 1954. With a keenly observant eye, Brennan effortlessly captured snapshots of the city around her, her columns bringing small moments vividly to life (typically without the knowledge or consent of her subjects)—a rainy day in a hotel bar, a child crying on the steps down to the subway, a pair of lovers quarrelling wordlessly in the park. She continued this work until 1981, along with publishing short stories about Irish life and penning a novella, The Visitor, that wasn’t published until after her death. By the 1970s, Brennan’s behavior had become erratic. She was hospitalized several times, moved from renting apartments to living in hotels, and eventually took up residence in The New Yorker offices, setting up a tiny bed in a room off the women’s lavatory where she nursed an injured bird back to health. Diagnosed with schizophrenia, she became paranoid, and was soon broke and homeless. Her last entry as “The Long-Winded Lady” was in the magazine’s January 5, 1981, edition, and offered a New Year’s blessing to her readers. After that, her work drifted into obscurity. She passed away in a nursing home on November 1, 1993, at the age of 76. In 1997, a collection of her Dublin stories were republished in the anthology The Springs of Affection, with an introduction by her longtime friend (and The New Yorker’s fiction editor), William Maxwell. Effectively reviving her reputation, the collection has been compared to James Joyce’s Dubliners. With Angela Bourke’s biography in 2004, and several plays written about her and produced in her home city of Dublin, Brennan finally began to receive recognition in Ireland, and was even hailed by one Irish journalist in 2012 as “the greatest Irish writer you’ve never heard of.” Brennan is, slowly but surely, cementing her place in Irish-American canon—and in the hearts of readers everywhere. This entry was tagged Book a Month. Bookmark the permalink.